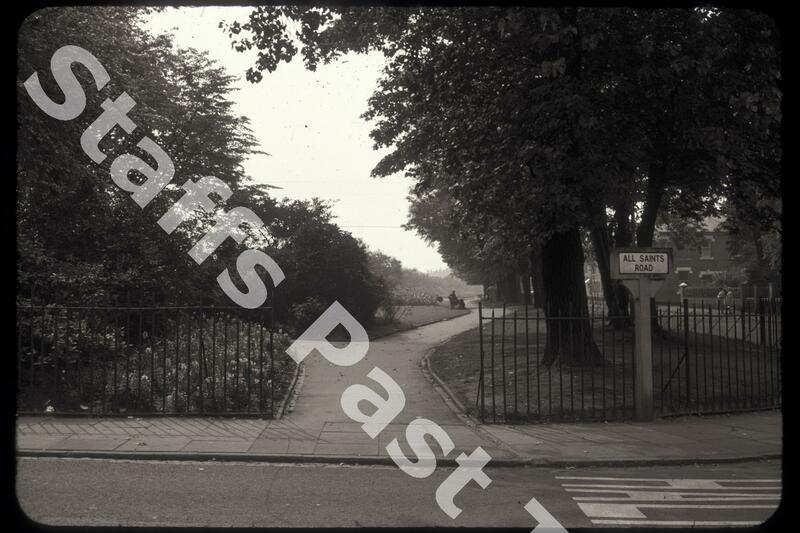 Description:The photograph shows Queen's (or Coronation) Gardens on London Road in Boothen. The gardens were built on the bed of the abandoned and filled in Newcastle under Lyme Canal. The gardens were laid out in 1953, hence the name. The photograph was taken from All Saints Road, the site of All Saints Church, erected in 1887 and All Saints Mission Church, both demolished.